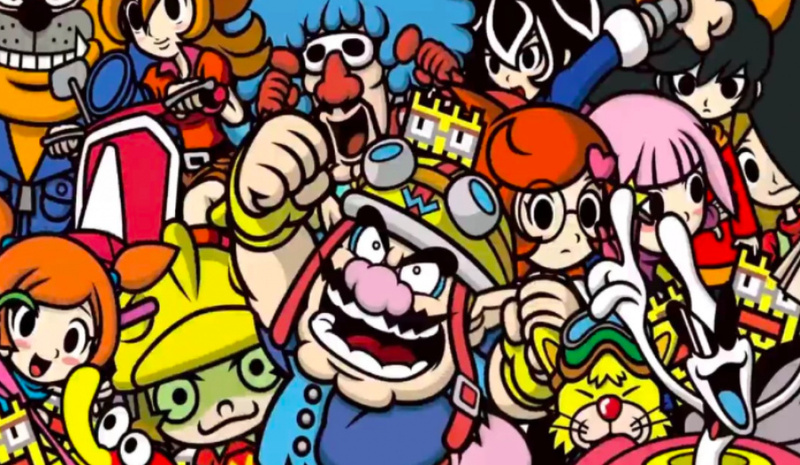 The WarioWare series is making a glorious return on the Nintendo 3DS, it has been revealed. 300 games will be included in WarioWare Gold, showcasing some favourites and featuring your favourite characters from the zany franchise. It's been a while since we've seen a new WarioWare game, but were you expecting it to come to Switch? Let us know with a comment. The game launches on August 3rd. I love Wario Ware games. Day 1 buy if it was gonna be on Switch. Sadly it isn't, so I'll skip this one. Wario is far and away my favorite Mario-verse character, and I still own all the Wario Lands & World, but for some reason I've never bought a WarioWare game. I think this'll be my first if only for the novelty of dusting off my 3DS. I waited 7 years for a stinkin' "greatest hits" album?! I loved Touched!, so I'll definitely grab this entry at some point. ...wish it went to switch but I can dust off the 3ds for some mini game craziness! .. Although.. "over 300" (was it?!) sounds a bit naff when you consider the original Gameboy game had "over 200" to begin with.. I hope they release a new entry for Switch that is as innovative and fun as the Wii entry, Smooth Moves, but using the Joy-Cons. The motion is vastly improved from the Wii remote, and could have some seriously unique and exciting control methods. 1-2 switch demonstrated some unique ideas, but adding the wackiness of the Wario brand and including much more content could be a hit, in my opinion. great way to demonstrate the uniqueness of the system. This isn't on Switch for what unholy reason? WHY IS THIS NOT ON SWITCH!?!?!? Kidding aside, I'm happy to see the WarioWare series come back in its original form. Yeah, a Switch version would have been nice but I might still pick this up. I would love to see a Wario Ware on Switch, but this looks great too. Will buy. Just in time so I can beat all games on Rhythm Heaven and get addicted to a new game form this awesome and crazy Nintendo team! Nintendo has some nice surprises on 3DS even now! Loved the original GBA version. Would rather have a Switch version, but this could be Nintendo's last chance to make a WarioWare that uses all of these features. ...the 3DS gets a lot of compilations huh? While this probably would make more sense on the Switch... The 3DS has deserved a proper WarioWare it's entire life, so I'm super glad it's finally getting one! Warioware is crazy fun. They really need to do something like the multiplayer warioware that was on gamecube. Nintendo doing there best to make sure I still play my 3DS. Holy heck. I need this. Not really interested in new games for the 3DS anymore to be honest. If this were a Switch title, I'd have considered it. Even if it's just a greatest hits collection with some new games ala rhythm heaven megamix, I'm still stoked! What a nice surprise! WarioWare on the GBA / DS was awesome! My favorite announcement of the direct. Time to see what the Wario gang has been up to. I got Touched through My Nintendo, and I got Smooth Moves on the Wii U, and I loved both of them. I am extremely excited for this. Another one I'd have bought on Switch. Nintendo are very strange. One of the most bittersweet announcements from tonight's Direct to me. A WarioWare game is like one of the first games that should come out on a console, and releasing it at the end of the 3DS life cycle is just idiotic, again in my opinion. But on the bright side, the game gives the WW series the Mario Party: The Top 100 treatment, which is alrady something I was hoping for to begin with; and as a bonus for us Europeans - what with some North Americans out there complaining about us being "luckier" as gamers - the game will most likely include games seen in Twisted, which I'd like to remind everyone, never reached our shores (and was embarassingly reviewed twice on the Italian Nintendo Official Magazine). So yeah, I understand a launch 3DS WW game should have made 3D its gimmick and that wouldn't have been an easy task but releasing it so late in the 3DS' life doesn't add up that much to me. Mixed feelings all around but I'm hoping for the best. Nice to see a real WarioWare game now after Game&Wario. Would be great if this were also coming to Switch. Actually, I just want every 3DS game to come to Switch. No Rhythm Heaven but this one is fine. Another game that should be Switch bound!! Dump the 3DS already!! Nintendo always has two hardware lines. Be glad they're only devoting negligible resources on a few low budget entries for 3DS. Which probably leaves 90% of their resources available for Switch. And... you're complaining about this tiny little bone Nintendo is tossing to 3DS gamers? Who, btw, are growing still. 3DS just had the best holiday season and January since, like 2013 they said- new 3DS owners want games too just as much as you want them on Switch. And I say this as a Switch gamer who stopped playing 3DS. But even I can appreciate Nintendo throwing 3DS gamers a bone or two. I don't get what you mean when you say "has a point". We've got nearly a dozen new exclusives titles we know are coming right now and will get half a dozen more when e3 comes. Dude doesn't even remotely have a point. And Fire Emblem is DEFINITELY not a port from 3DS. That's just ridiculous and completely unfounded. It's a new entry. Confirmed. There's no arguing anything. It's a new game. What do we know about Pokemon? We know it's a brand new core entry, and most likely a high budget reboot ala Breath of the Wild. As for all those other games, you ask where are they just 1 year into a console's lifespan? We're 15% Of the way through this generation which means 85% Of their franchises will be releasing after the year 1 mark. @JaxonH ok I’ll give you Fire Emblem agreed. Pretty certain though that the Switch Fire Emblem was simultaneously released for 3DS no? Same title but different games i guess? I really don’t pay attention to the 3DS anymore. As far as the other franchises, many gamers have been requesting some of those back to the Wii U launch and even some going back to the Wii’s lifecycle so in some cases that’s 12 years! F-Zero in particular comes to mind. Of course I’m not expecting Nintendo to bang out 30 years of franchises inside a year that’s silly and unrealistic BUT they certainly can mix it up a bit no?? That's because Nintendo lets some franchises go dormant to keep a revolving door going. And other times to give a low selling series a break. But keep in mind, just because 1200 fans online demand something for a decade doesn't mean Nintendo should do it. They've gotta look at total demand, not just the vocal minority of 100 dudes on the internet screaming they want a game. No, I mean the entire internet. there is not 1 million people asking for F Zero. The last game in the series didn't even sell half that much. I've noticed for years now any time F Zero is brought up, like say on Reddit, there'll be like 13 comments and that's it. People have moved on, people have stopped caring. When you live in a Nintendo bubble you mistakenly believe the whole world wants these things. You see the Metroid Prime 4 trailer reaction and it's insane! Feels like the whole internet wanted it. Turns out its just the same small subset of vocal fans, who cry out for something, then when it comes it doesn't even sell a million copies (Metroid Samus Returns). My advice... get out of the bubble. Realize you (And I) are a vocal minority and most people... They just don't care. Don't get me wrong, I'm part of the F-Zero fan club myself. GX is my fave racer of all time. There's so many games... I'm not gonna let 1 or 2 games were aren't getting outweigh the dozens of other games we are. Especially when we've got half a decade of more Switch games to come. Love the trailer for this, one I'm definitely going to get. It's extremely sad to see people complaining about this being on the 3DS. I'm not even gonna re-state what people already know. Solid install base. No real WarioWare on 3DS yet. Easy to make a Top 100 for microgames. The Switch will have its own soon. Sounds like a compilation a la Rhythm paradise megamix. That title was amazing though. But since I have all Warioware's (minus dsi one and the gamecube one) there really has to be some proper new stuff in it, otherwise I'll pass!